I have worked on a number of interesting content-focused initiatives recently including defining a CMS, developing a content team and putting effective content metrics in place, but one stood out, mainly because of its simplicity. This was a standalone project, impactful across the organisation and yet relatively small in scale and straightforward to implement. I’m talking here about a terminology glossary, in single language only, developed and managed in-house. From a practical perspective I have documented the case study outlining the evolution of the project in a blog post for GatherContent and this considers the business case for a terminology database, or term base, the demonstrable benefits it brings to the company and the steps required to set it up. If you’re looking to carry out an effective, business-wide programme this is something I recommend you consider. The reason that terminology matters is that it has a marked impact on the consistency of the content being produced across all distribution channels. There is a direct correlation between the clarity of content and how well customers engage with it. So, a relatively small effort for a great reward. If authors and users have a term base they can use for reference – including industry-standard terms, acronyms, abbreviations, capitalisation and hyphenation – there is a measurable increase in the ease and speed of content creation. 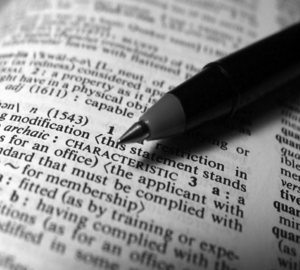 In practice, the majority of terminology glossaries contain fewer than a thousand words so they aren’t time-consuming to create and administer. In addition to the inclusion of pertinent terms, a term base can also include words and phrases which shouldn’t be used, along with the reasons why. Terminology databases can be scaled up for different organisations depending on their requirements. Small businesses find it useful to store the data on a spreadsheet, larger organisations may consider an in-house database and multi-lingual requirements can be met by some of the bespoke tools available to guide companies through term management, tone of voice and style guidelines in more than one language.